Design is by people for people. To design for people, designers constantly consider how people move and interact with objects and environments daily so as to better provide comfort, safety and convenience. 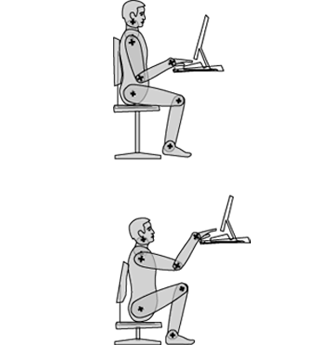 The study of ergonomics is derived from two Greek words: “ergon”, meaning work and “nomoi,” meaning natural laws. 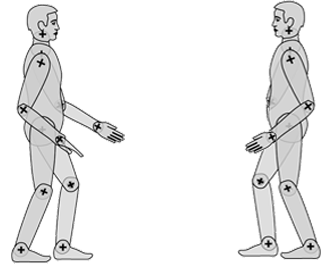 Ergonomics help designers study and understand human physical and psychological needs. Ergonomics considers physical, cognitive, social, organizational and environmental information in relationship to objects, environments and work conditions. If a product is ergonomic it is specifically designed to be easy to use. Ergonomic products strive to reduce fatigue and repetitive strain and boost human productivity. Be safe! Be comfortable! Be productive! Be ergonomic! Measure man, woman, and child! Designers learn dimensional sizes and relationships as standard rules of thumb. As standards, they are open to constant evaluation. Since many of us spend almost 90% of our lives indoors, we are constantly engaging with designed objects and environments. One third of our lives…is spent in bed! Begin the measure of your world starting with your bed. What is its depth, height and width? Next, have a friend photograph you standing (front and back), sitting (front, side and back) and sleeping (top, side). Print your photographs and cut out your figures. Place the cutouts on a second sheet of paper. Make two measured drawings of your bed- one from the side and one from the top (or plan) view at the scale of your photos. Place your reclining photo on top of the bed in plan, on top of the bed in elevation. Look at how you fit in your bed. How much extra room do you have? Is it comfortable? Next, record the dimensions of a chair. 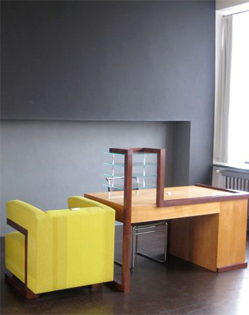 Take your photos and make drawings of a chair from the front, side, and top view. For each photo, dimension your height and width in feet and inches. Finally measure the height and width of a door frame. Place yourself inside your door. Use this technique as you contemplate your daily tasks. You will be raising your awareness and critical thinking about the objects that you use and the dimensions they need to be. This will help you when you come to design new objects or systems for everyday life. Are your hips against the back of the chair? Can you can pull your chair close to your desk and keyboard? Is your keyboard easy to reach? Is the computer screen directly in front you at an arm’s length away? Can you look at it without raising or lowering your chin? Is there any glare or reflection on the screen? Do you have a view of the weather outside? Do you have access to direct fresh air? You are working as an ergonomic evaluator! Workplaces must be comfortable to support people working productively! Before development of work stations, people usually pulled up chairs to tables. Early workstations incorporated room for a type writer and storage for typing paper and office supplies. As people began working later in the day, task lighting, or close at hand lighting, was added to work stations. Studies began to show that office workers needed to have desks for writing, a typewriter to the side, or on a return, a telephone or multiple lines on a telephone, drawers, file cabinets, pin up space and shelves. As offices became computerized, fax machines, computer monitors, scanners, printers, cameras and other media systems were added. Research three different manufacturers of work stations. Collect their drawings and material specifications. Compare the three different systems and see which one you would select if you were planning an office. Now that you know a bit more about comfort and the needs of a productive worker, it is time to apply your knowledge to the design of your very own workstation! As in any design process there are many places to start your process. For example, you could start with a desk or chair you already have; you could start with a set location in your bedroom. Brainstorm the where, what and how (of connecting your workstation electrically for your computer, desk lamp, printer, etc.). Make a list of activities that you wish to do at your work station such as reading, writing, drawing, typing, etc. For each activity diagram the amount of space you will need. You can begin to lay out conceptually where your surfaces should be. At the same time as you draw the plan of your activity areas, draw a section starting at the floor and moving up. Record the height of your foot rest, your chair seat, your table top, your storage shelves, etc. 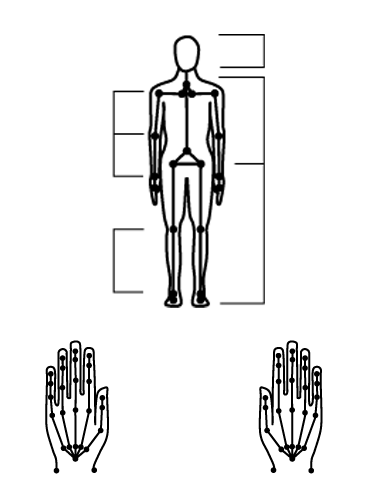 Locate and label the electrical outlet so that your equipment can be plugged in. Make sure you have enough organized storage space for everything that you need to do your work. 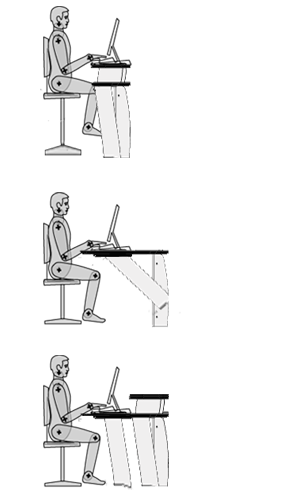 Historically, the field of ergonomics developed to optimize human productivity by integrating measurement of the human body in design of the workplace. Connecting people with nature and experiences in nature to promote well-being, health and productivity is a relatively new field called Green Ergonomics. This new field looks at designing human systems and experiences that are integrated with natural environments and developing research data that looks at how built environments can be retrofitted to provide more people-nature interactions. For example, schools are now beginning to incorporate outdoor classrooms. Buildings are now adding green roofs to allow employees outdoor breaks. Companies are starting to encourage brisk walking breaks. Since the majority of people spend 90% of their lives indoors, opportunities to spend time outside in natural spaces daily bring us fresher air than inside, relieve stress and encourage us to connect with living systems. Look around your school. What ideas could you propose to have more experiences in nature throughout the day? Brainstorm some ideas and share them with your classmates and teachers. Consider implementing a short walk outside each week and taking a survey of student responses to the ‘nature break’. See if your classmates feel more focuses and productive. Be an active Green Ergonomics Researcher! Fill in the blanks with standard measurement in inches.